Another unique Crystal Rug. 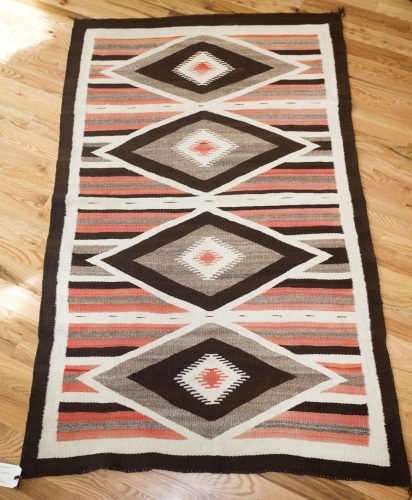 We have not seen this salmon-colored palette before in a rug. 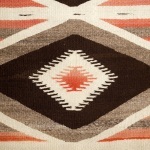 This particular rug is woven with the very soft Churro wool. Form is an important element to the Navajo weaver. This pattern could represent the four directions, the four sacred mountains, or the four worlds. Our present world is the third world.